<em>A Year in the Big Old Garden</em> is Here! As a lifetime story-lover as well as story writer, I"m excited to say that my new book, A Year in the Big Old Garden, is now available. 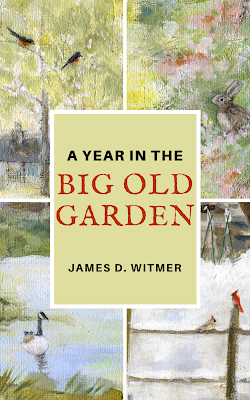 "A Year in the Big Old Garden is a gem." "Charming new stories in the vein of Thornton W. Burgess." "What a fun, warm-hearted read!" A Year in the Big Old Garden is a collection of children’s stories you can carry in your mobile phone. 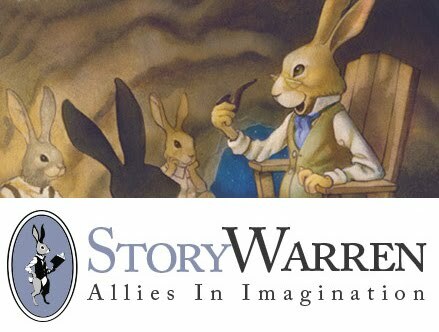 In the spirit of beloved classics by Thornton Burgess and Beatrix Potter, these short stories are crafted to be read aloud, mixing whimsical storytelling with the love and knowledge of backyard wildlife. Turn waiting rooms, car trips, and bedtimes into moments of enjoyment as you meet animals like Sammy the squirrel, Jasper the chipmunk, and Smudge the rabbit, and follow their adventures through the seasons. From the beginning of this project, I knew I wanted illustrations that would reflect the old-fashioned roots of its stories. I wanted a book that would look at home alongside the stories that influenced me. I’m pleased to say that the cover design of this edition draws upon four original and beautiful paintings by Melissa Ellen Fink, which appear at the start of each season inside.